Graziano da Silva, J., Rampa, F. 2013. 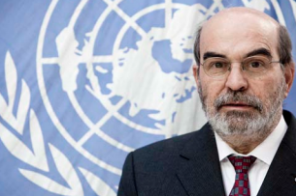 ECDPM talks to José Graziano da Silva, Director-General of Food and Agriculture Organization (FAO), on what the United Nations Year of Family Farming means for the FAO . GREAT Insights, Volume 3, Issue 1. December 2013 - January 2014. Why did the United Nations choose 2014 as the Year of Family Farming, and what are the expected outcomes of this initiative? Graziano da Silva: By choosing to celebrate this year, we recognise that family farmers are leading figures in responding to the double urgency the world faces today: improving food security and promoting sustainability. This is crucial because of the challenge to feed a growing population expected to top the 9 billion mark in 2050, while at the same time responding and adapting to climate change. Nothing comes closer to the sustainable food production paradigm than family farming. The preservation of natural resources is rooted in their productive logic and the highly diversified nature of their agricultural activities gives them a central role in promoting the sustainability of our food systems and ensuring food security. With estimates indicating over 500 million family farms in the world, family farming is the predominant form of agriculture and main food producer in developed and developing countries. This group – which includes smallholders and medium scale farmers, peasants, indigenous peoples, traditional communities, fisher folk, pastoralists, collectors and many others – is also the main food producer in most of the world. The International Year of Family Farming gives us a clear opportunity to highlight the strategic role of family farmers in rural development but also to promote policy and strategy changes that will strengthen their capacities. FAO is excited to coordinate this International Year, working together with other partners, including the World Rural Forum who presented the proposal in 2008 to hold the year and the European Union, both members of the International Steering Committee for the year. It is important to recall that many family farmers, especially subsistence farmers, are part of the 70% of the world´s food insecure population that lives in rural areas of developing countries. For a long time they have been treated as part of the hunger problem. But that is the mentality we need to change. Family farmers are part of the solution to the hunger problem. 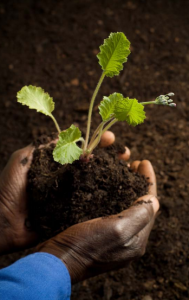 With adequate support they can quickly realise their productive potential, increasing the availability of food in poor communities, preserving traditional food products, supporting the shift to more balanced diets, safeguarding the world’s agro-biodiversity and contributing to food security and sustainable development as a whole. All of this makes family farmers key actors to achieve the Millennium Development Goals and to participate in the post-2015 debate that all of us expect will bring us closer to the sustainable future we want. What will the UN Year of Family Farming mean for farmers on the ground, in particular family farmers? 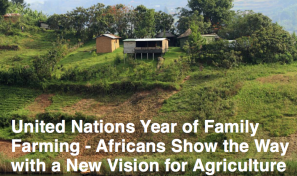 How will the UN Year of Family Farming relate to the African Union Year of Food Security? First and foremost, it is important to have an understanding of what policies work and what policies don’t work. We want to see what we can do in terms of creating a policy environment in which small farms can thrive. In fact, that is the main objective of the International Year: to foster an effective and supportive pro-family farming policy environment tailored to local conditions. Regional dialogues with family farmers, which took place in preparation for the International Year, show that overall their needs are similar throughout the world: technical assistance and policies that build on their knowledge and bolster sustainable productivity increase; appropriate technologies; quality inputs that respond to their needs and respect their culture and traditions; special attention to women and youth farmers; strengthening of producers’ organisations and cooperatives; improved access to land and water, credit and markets; and, efforts to improve their participation in value chains. The exact mix of support will of course need to be adapted to the specific characteristics and circumstances of different regions and countries. Governments can show their political commitment by building juridical frameworks, institutions and policies that address the needs of family farmers. Establishing platforms for policy dialogue with family farmers organisations in order to generate consensus and build and implement effective policies is another major target of the International Year of Family Farming. International cooperation can foster policy dialogue among all stakeholders and help build and support the implementation of concrete and sustainable solutions. In these efforts, we are already exploring the synergies between the International Year of Family Farming and the African Union Year of Agriculture and Food Security. As 2014 is a critical year for the African Union and the Comprehensive Africa Agriculture Development Process (CAADP), we must find effective ways to link the discourses surrounding these events into a cohesive, valuable process. How do you see the link between promoting family farming and the increased importance given to working with international investors for agriculture – through Grow Africa, for example? African economies are expected to grow by 5.2% in 2013 based on increasing export growth, rising commodity prices and strong domestic demand from growing urban markets. These trends can provide market opportunities for smallholders (family farms) to make the transition from subsistence farming. While these markets offer better opportunities for small farmers, they often struggle to respond to demands for larger production volumes, consistency of supply and higher quality, finding themselves at a disadvantage due to high transaction costs and low bargaining power. 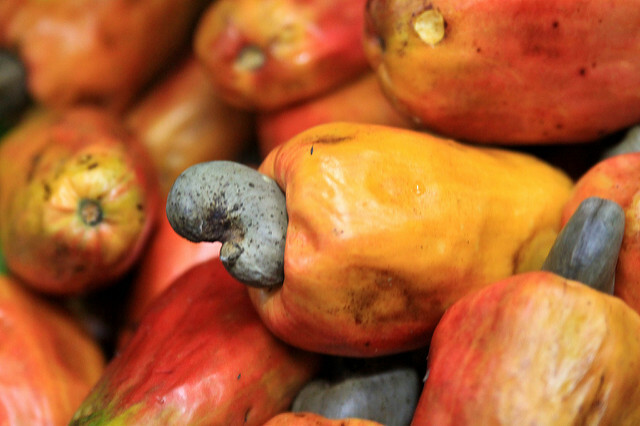 At the same time, there is also growing concern with the impact that certain international investments in agriculture, sometimes dubbed landgrabbing, can have on food security. In both cases, a defining factor is how we will move forward. A study made by FAO shows that farmers are the main investors in agriculture in developing countries. That means that every policy and action should have farmers, especially family farmers, at their centre. The quality of the investment and how they take into consideration local communities and their needs will also be crucial. That is why the Voluntary Guidelines on the Global Governance of the Tenure of Land, Fisheries and Forestry are important. Approved by the Committee on World Food Security (CFS) in 2012, these guidelines will help governments safeguard the rights of people to own or access land, forests and fisheries. FAO supported the process to approve the Voluntary Guidelines since the very beginning and we are as committed to work with governments and other developing partners in its implementation. The Principles for Responsible Agriculture Investment, which is currently being discussed in the CFS, will complement the guidelines. Together these two instruments help assure investments and other decisions affecting agricultural and rural development support food security. To what extent is CAADP contributing to a change in national agriculture policy making and planning? What has the CAADP changed at the level of farmers and has it promoted African agriculture development? 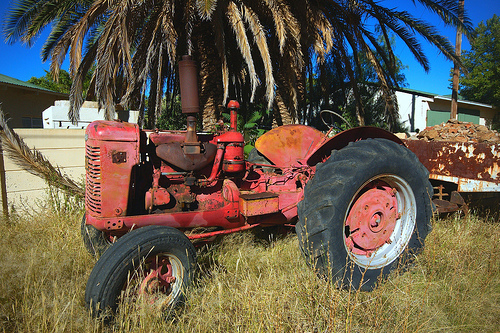 Is there anything that the CAADP could do differently? Since 2003, CAADP has contributed to changing both the discourse and focus of African agricultural development. Placing agriculture at the top of the development agenda is an important achievement. The objective is to increase national investment in agriculture as well as mobilise additional international resources. Currently, about 40 African countries are engaged in the CAADP process: 36 have signed CAADP compacts, about 28 have formulated investment plans, and 20 business meetings have been organised. The bulk of the countries engaged in this process have increased the percentage of their national budget going to the agricultural sector, although most are still far from the 10% target of the Maputo Declaration. Further, 15 countries have received between US$20 and 50 million from the Global Agricultural and Food Security Programme (GAFSP). CAADP compacts and investment plans are helping to align investment in agriculture towards a combined growth-and-food security objective. Their development has been accompanied, in some cases, by transformative policy reforms and public expenditure analyses, and has helped to mobilise new innovative financing mechanisms in support of African agriculture. To a certain degree, this process has provided a forum where civil society and the private sector – producer organisations in particular – can participate in continental, regional and national discussions on agricultural investment priorities. FAO has been closely involved in the process, providing funding, technical assistance and human resources at country, regional and continental levels. Food security and agricultural development in the region are also receiving strong and renewed backing. In July 2012, for instance, at a meeting co-organised by the African Union, FAO and the Lula Institute, African countries set 2025 as the target date to end hunger. African heads of state and government should confirm this target next year. What should development partners do differently/better for African food security? For example, in the context of CAADP, what improvements (if any) can be expected from the Multi-Donor Trust Fund support to the CAADP in next 10 years? Development partners have played an instrumental and supportive role in the CAADP process. The Development Partners Task Team (DPTT) has proven an effective instrument for partners to communicate, coordinate and support one another in an organised and coherent manner. Similarly at country level, agricultural sector working groups have played an important role. 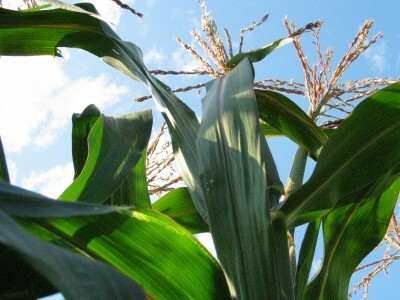 The Multi-donor Trust Fund has helped develop the capacity of Africa’s CAADP institutions. It does not however include all the donors supporting the CAADP process. So there is scope for further improving donor support. Moving forward, the MDTF may also want to consider how it could more systematically invest resources to strengthen capacity at the level of regional economic communities, particularly institutions which are meant to support countries in the CAADP implementation process. 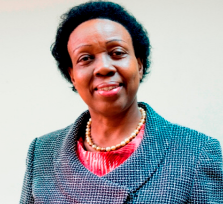 Establishment of a technical assistance facility that countries or regions could draw on would enable FAO to contribute our extensive human resources toward this goal, particularly the interface of policy/investment/programme delivery, which is at the heart of the issue of CAADP implementation at country level. What role will development partners from the emerging economies play during the UN International Year of Family Farming (IYFF)? What is the plan for engaging with them in the future, also in regard to the CAADP where they currently play no part? In the years leading up to the IYFF, FAO has engaged diverse countries across the globe in thinking about and planning for the UN Year of Family Farming. Experiences in every country provide opportunities for all actors to reflect on and distil lessons from good practices developed at country level, particularly with respect to effective models for delivering services to smallholder farmers and to increasing farmer income. Development partners from emerging economies such as China, India, Brazil and South Africa have different histories related to supporting family farming. Sharing lessons in terms of the role of family farming in ensuring food security and equitable socio-economic development is crucial. Many of these countries also have a wealth of relevant technologies and capacities, which could be very useful in assisting implementation of investment plans. 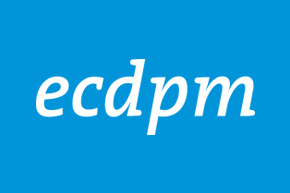 This interview was conducted by Francesco Rampa, Manager Food Security Programme at ECDPM.